DAVID J SAMPSON - Offers a premier selection of fine Japanese SUISEKI and associated items for sale. (Send Image) SABAKAN - Hollowed or rotten trunk. MIKI>SABAMIKI - As its western name of "SPLIT TRUNK Style" suggests, this style reflects the position in nature where the trunk has split in two due to action by lightning or by heavy branches peeling away and taking a section of the trunk with them. The style is typically bare in part and rugged in appearance. It should look like it has "been through the wars." 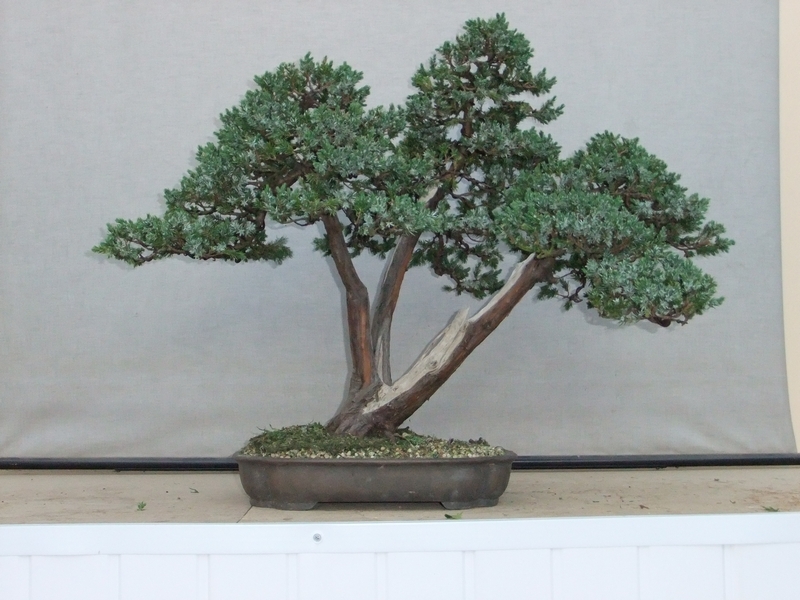 The example shown is an escalonia grown by Peter Thorne of the Ayr BONSAI>BONSAI Group. (Send Image) SABI - Often used together with the term "WABI" both of which terms relate to the Japanese sense of shibui, the aesthetic tastefulness and austerity in art and movement. Sabi is the sense of beauty that comes with great age and which is acheived by nature, not by man. EDA>SACHI EDA - Primary branch which establishes the direction and movement of the tree. See also ICHI NO EDA and UKE EDA and SAN NO EDA. EDA>SAGARI EDA - Branches (called "sagari eda") growing straight down should be removed from your BONSAI>BONSAI tree, unless of course your a growing a cascade style tree. Sageretia (Sageretia TheeZAns) - Notable feature is its patchy, peeling (Plane tree type) BARK. 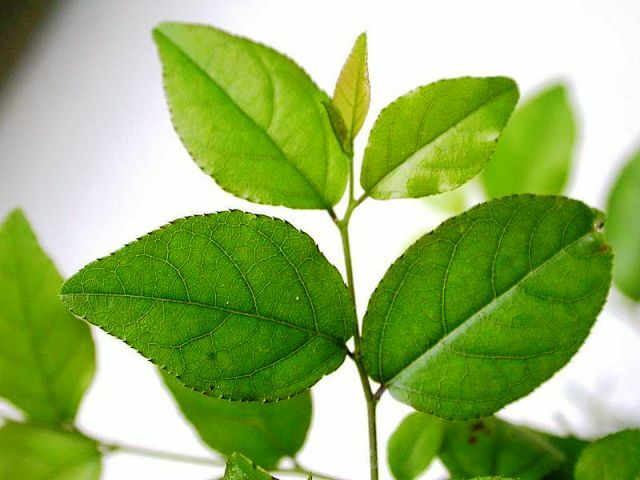 Its slender branches support small, shiny, EVERGREEN LEAVES and white FLOWERS which develop into blue berries. STYLE : Suited to all styles. WARNING : High HUMIDITY essential. Site above or near (not on) water. SAIKEI - Saikei is a landscape in a tray/container formed by a grouping of trees together with a selection of plants, rocks, moss and sand to form a landscaped scene. This style is said to have been created by Toshio Kawamoto inspired by miniature gardens of ancient origin. Also sometimes referred to in the West as a "composition". 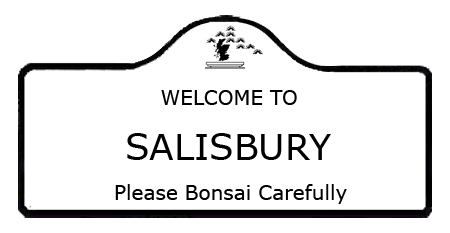 BONSAI>BONSAISOCIETY>SALISBURY BONSAI SOCIETY - The Society was founded in August 1987 by two local bonsai enthusiasts, Rita Molland and Valerie Casey. Meets on the first Monday of the month at Laverstock Village Hall Duck Lane at 7.45pm. 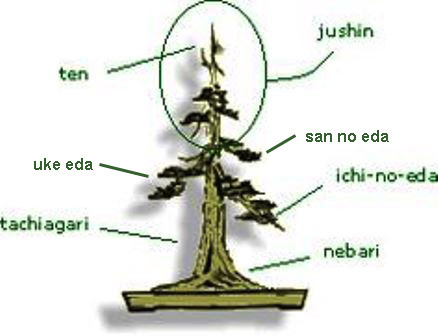 EDA>SAN NO EDA - Japanese term for third branch of a BONSAI>BONSAI tree. SANKAN - Denotes a "3 trunks on the same tree" triple trunk style. SAPWOOD - Also known as XYLEM. This section of the trunk sits between the HEARTWOOD and the CAMBIUM. Its function is to transport water and nutrients upwards through the outer annual rings. Sugars are transported downward via the inner BARK (known as the PHLOEM). (Send Image) MIKI>SARAMIKI - Style where the trunk is stripped of its BARK like a dead tree. (See : Sharamiki). 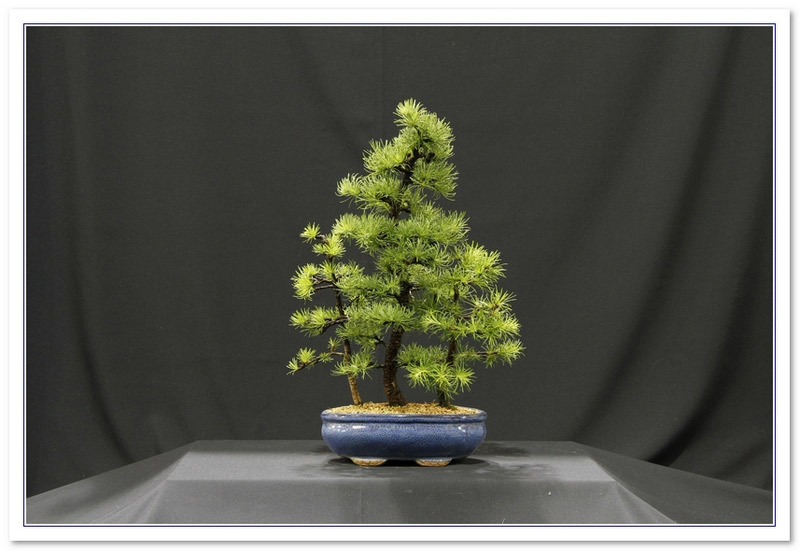 BONSAI>BONSAI>SARUYAMA BONSAI - Professional bonsai and SUISEKI from Peter Warren. Educated by well known Japanese bonsai master Kunio Kobayashi. 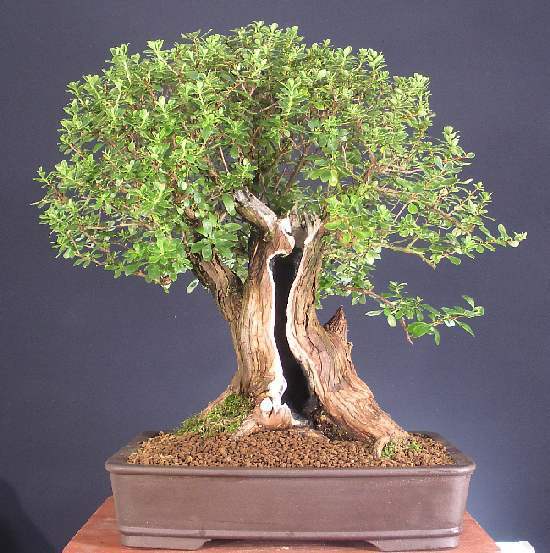 Saruyama Bonsai provides a fully comprehensive and professional bonsai service from first styling to regular maintenance. Some limited sales items but main content relates to display and advice site than a dealer or club.